Are you watching? BB is the one show my husband and I must watch! We are totally #TeamDerrick. But #Dadgum Caleb is hilarious. 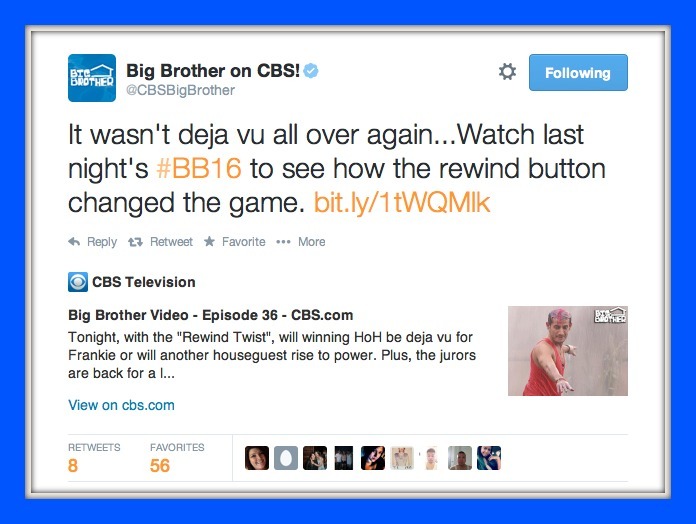 The winner will be announced soon on CBS… and then we will have to find a new show. Any suggestions? It may be a fall go-to snack, or a pregnancy necessity, but I love the salty and sweet combo. We mix pretzels, Cheerios, candy corn, peanuts, Dark Chocolate M&M’s, and sunflower seeds. Yum! 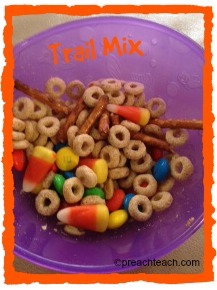 What do you put in your trail mix? My oldest is a first grader. I have adjusted a lot easier to school this year than last. My boy is freakishly tall, can write endless stories on Angry Birds, and count to Infinity. I love it all (even though this ‘big’ stuff makes me slightly sad). He recently brought home a chapter book to which he, his brother and daddy enjoy reading each night. So sweet! 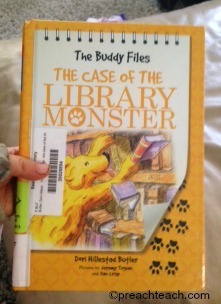 Right now he’s reading The Buddy Files: The Case of The Library Monster by Dori Hilestad Butler. What are your kids reading? 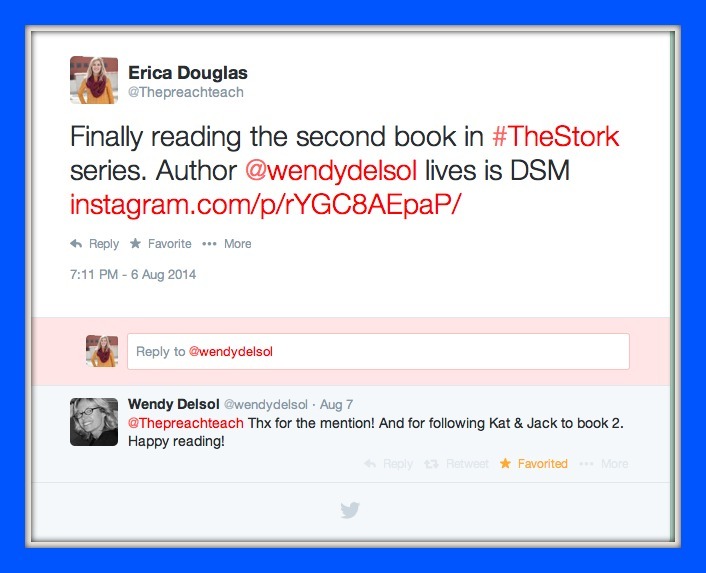 I just finished reading The Stork series by Wendy Delsol. I had the honor of meeting Wendy at a writing conference in 2013. I’m a sucker from young adult literature, especially if young love ventures into the sci fi fantasy realm. I was captivated by the journey of Kat, and if you like The Hunger Games, Divergent, or even Twilight, this series fits right into that niche (without vampires, thankfully!). I need a new series to read, what would you suggest? Don’t get me wrong, eighty degrees and flip flops are two of my best friends, but not having to worry about shaving my legs every day is a bonus. 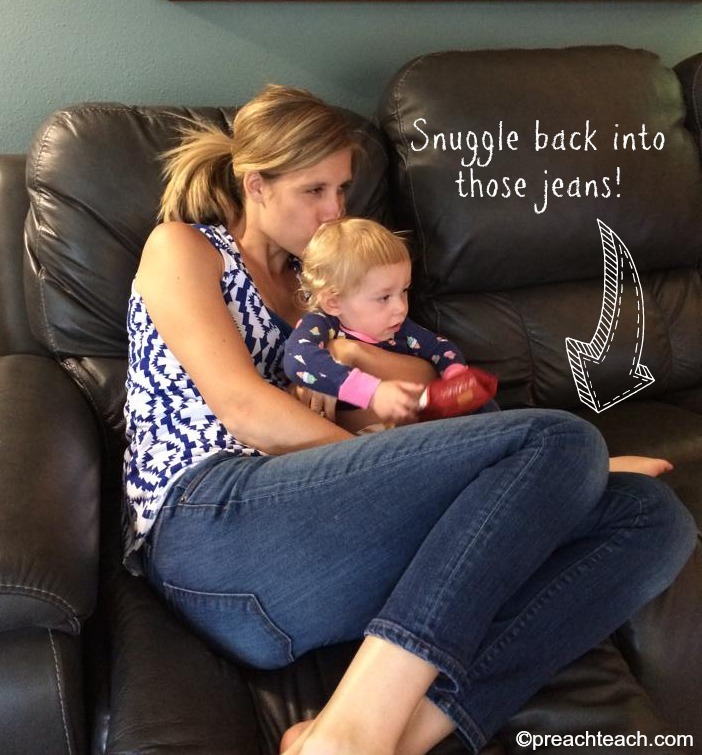 Especially when this pregnant gal can’t even see below her belly! Plus, now jeans come in all kinds of fun colors! What are you wearing this fall? It’s just not fall without football. 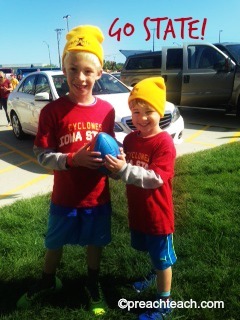 Around our house we cheer for the Iowa State Cyclones, the Green Bay Packers, and have one lone Cowboys fan. Who do you root for? Being completely transparent here, but any time I eat a piece of chocolate, get less than the needed sleep, think about my to-do list, or have a baby growing inside me, I awake to find a new little friend on my face. 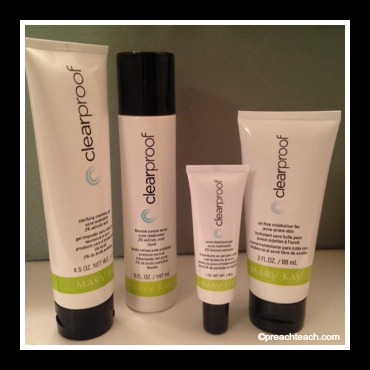 My sister-in-law sells Mary Kay and recommended their product Clear Proof. I’ve only used it a couple weeks and am already a big fan! What skin care product do you use? 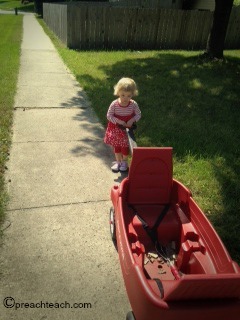 Or should I say Family Walks. I enjoy the time it gives us together. Have you ever let your kids lead you? I’ve never noticed the amount of acorns, bees and butterflies, cut grass and leaves on our path until I let a little girl lead me. It takes forever, but time is fleeting. Tell me more on the Preach Teach page.